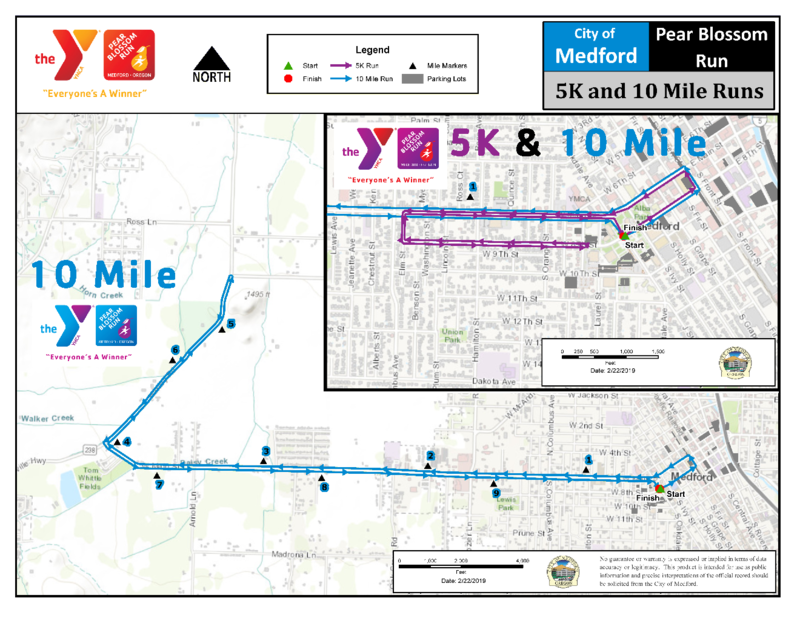 This race run by YMCA starts at City Hall and goes through the town of Medford, OR. 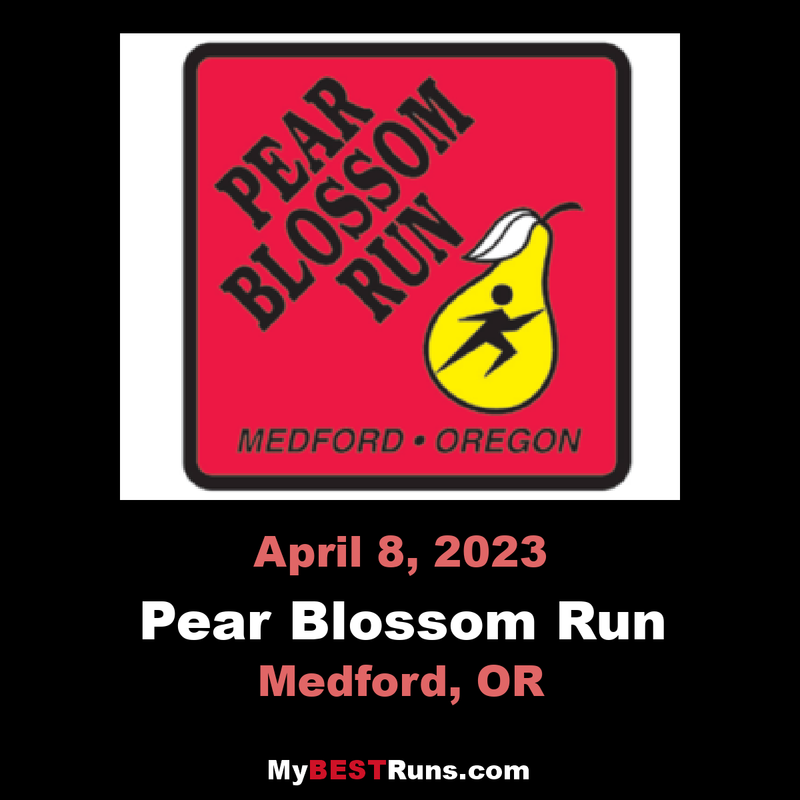 The first Pear Blossom Run held in 1977 was won by Frank Shorter, Olympic Gold and Silver Medalist. Thanks to Zellah and Jerry Swartsley who founded and led the Pear Blossom Run for the first 35 years. 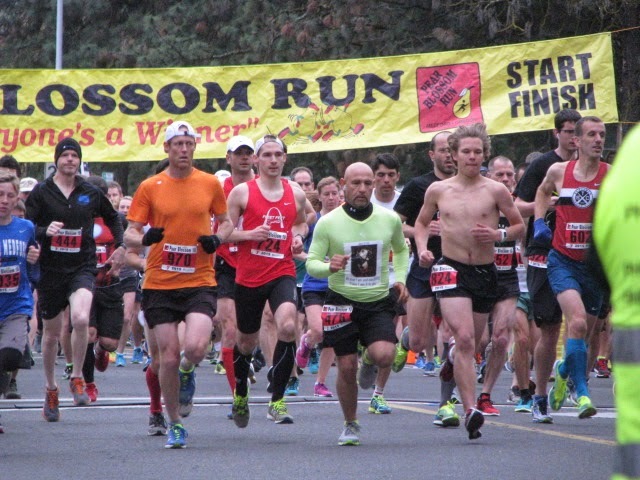 The race grew from 546 to 5,648 runners. Their caring, giving spirit drew in thousands of runners and volunteers throughout the years. Steven Buxton and Rich Stanfield with the YMCA, shown with Jerry and Zellah, continued the tradition. Their advice to the Rogue Valley Family YMCA is “when in doubt, give it out.” The Rogue Valley Family YMCA is committed to carrying on their incredible legacy. Zellah and Jerry Swartsley, returning home from graduate school at Montana State University, stopped in Salt Lake City where a marathon was held and Jerry would finish 8th. An idea was born on July 24, 1971 and six years later it would become a reality. The first Pear Blossom Run held in 1977 was won by Frank Shorter, Olympic Marathon Gold and Silver Medalist. Your generous consideration in registration is highly appreciated. Chip timed event. 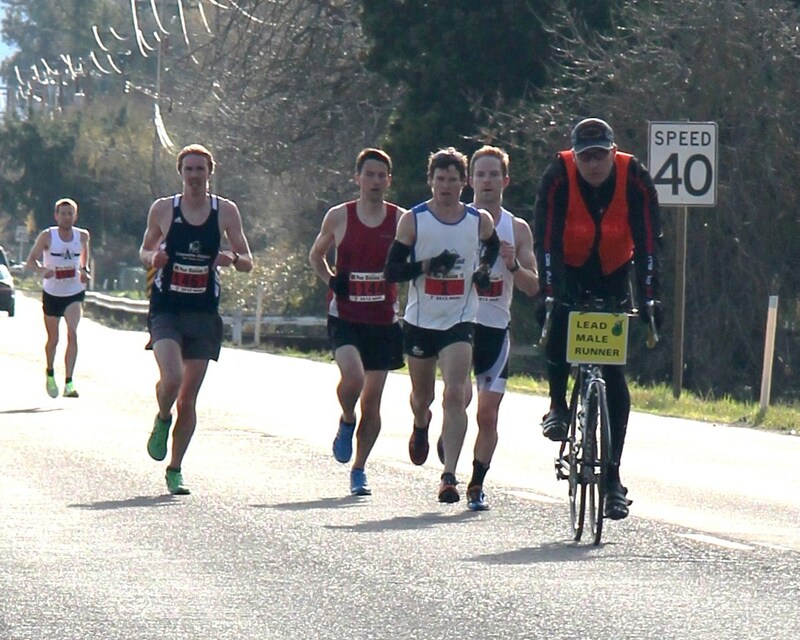 Time limit is 2:40, a 16:00 mile pace. USAT&F certified course (OR12007LB) is flat, fast, out and back with one hill. Course monitoring, support services and finish timing will stop at 11:00 am. Event open only to registered participants wearing a bib due to permits and insurance restrictions. Due to permits and traffic control, any runner or walker starting early will be disqualified and not receive a time. Wheelchairs and baby strollers are allowed in all events. However, animals, skateboards, bikes, skates, or other wheeled devices are not permitted. Awards: First male and first female receive a $250 gift certificate each. No awards for walkers. Restrooms are available at the YMCA, near the start/finish line, in the lower floor of the Justice building and at intervals along the course. Water stations are available every 2.5 miles or less. If you experience difficulties of any kind, please stop and go to one of the aide stations or patrol units and indicate you need assistance. A special handcrank/trackchair/wheelchair division is offered. Special parking is provided for these athletes so contact the race directorfor details. Your timing chip is affixed to the back of your race number bib. All you need to do is wear your bib on the front of your shirt. This is also important for identification purposes during the race. Participants must wear the race number assigned to them, run in the event signed-up for, and start at the designated time in order to receive a finish time. Do NOT crumple or fold your bib as this will damage the antenna resulting in no time. Do NOT remove the timing chip from your bib. You can keep or throw away your bib and chip. If you choose to recycle your chip you MUST leave it affixed to the bib thereby recycling the bib as well. All timing systems will be reset one minute prior to the start. Remain behind the carpets until the start so your chip does not trigger an early starting time. Your time starts when your chip crosses both carpets so no reason to crowd. The first person to cross the line is the winner in case of ties. Faster runners line-up first.